Instead of checking credit scores, going over your most recent cash flow documents, and requiring collateral, Kiva relies on what they call ‘Social underwriting’. That is, they measure your character and community standing. Choose a borrower, make a loan, and get repaid. Kiva allows microfinance institutions, social businesses, schools and non-profit organizations around the world, called ‘Field Partners’, to post profiles of qualified local entrepreneurs on its website. Lenders browse and choose an entrepreneur they wish to fund. The lenders transfer their funds to Kiva through PayPal, which waives its transaction fee in these cases. It is possible to pay by credit card through PayPal’s website, even without a PayPal account, but a PayPal account is needed to withdraw funds. After receiving a user’s money, Kiva aggregates loan capital from individual lenders and transfers it to the appropriate Field Partners, who then disburse the loan to the entrepreneur chosen by the lender. As the entrepreneurs repay their loans with interest, the Field Partners remits funds back to Kiva. As the loan is repaid, the Kiva lenders can withdraw their principal or re-lend it to another entrepreneur. 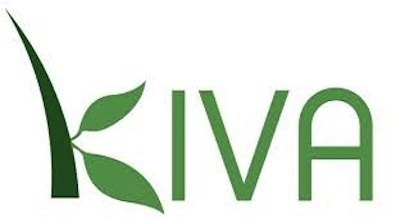 Kiva itself does not collect any interest on the loans it facilitates and Kiva lenders do not make interest on loans. Kiva is purely supported by grants, loans, and donations from its users, corporations, and national institutions. Even though Kiva itself does not charge interest on the loans, the Field Partners charge relatively high interest rates. Loan interest rate is 34% varying by the country and partner. Interest is typically higher on loans from microfinance institutions in developing countries than interest rates on larger loans in developed countries because of the administrative costs of overseeing many tiny loans, and the increased risk. Loan disbursement mode is via PayPal or Kiva account. Loan repayment mode the same. Loan increment eligibility depends on lenders. Loan default penalty, all contributing lenders are notified via email therefore they can consider the remaining account an outstanding loss. Kiva doesn’t require any time in business or a certain amount of revenue. They also don’t check your credit score. To be eligible for a loan, you do have to have a legitimate business that is not bankrupt or involved in illegal activities, and the loan proceeds must be used for business purposes. Kiva does report credit to the business credit agencies, so you can expect your business credit to take a hit if you default on your loans. Kiva loans take a while before you get your money hence cannot be used for emergency loans. Though Kiva loans are claimed to be used for business purposes, they only offer micro loans while certain businesses may require large capitals hence not appropriate for such businesses. Any business owner who would benefit from a small infusion of capital, and can wait for the funds, would benefit from this service. For startups who do not have the time or need more money, there are a few other options that they can check out that would be appropriatefor them.